The novelist Nancy Mitford used to refer to lower orders as ‘milk in firsts’. And she wasn’t alone. Putting the milk into a cup before adding the tea was seen by many in 19th- and early 20th-century Britain as a marker of social status. As the butler in Upstairs, Downstairs, a 1970s TV period drama set at the turn of the 20th century, put it: ‘Those of us downstairs put the milk in first, while those upstairs put the milk in last.’ But why was this the case? How did such a seemingly innocuous act acquire such a powerful social meaning? 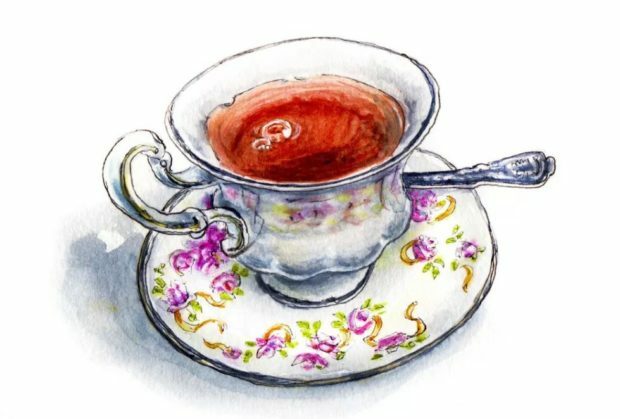 Because, as Elizabeth Currid-Halkett, a professor in public planning at USC Price, explains in The Sum of Small Things: A Theory of the Aspirational Class, many people at the time could only afford cheap china cups, which would crack if they came into contact with hot water. So, to avoid this, they would put the milk in first. Those at the upper end of the social scale, however, could afford better quality china that wouldn’t fissure at the merest hint of hot water. And so, to put the milk in the cup first became a sign of one’s social status, a cultural expression of one’s economic standing.